Kirby and I were both giggling at all of the 'stache speak going on in last week's giveaway. 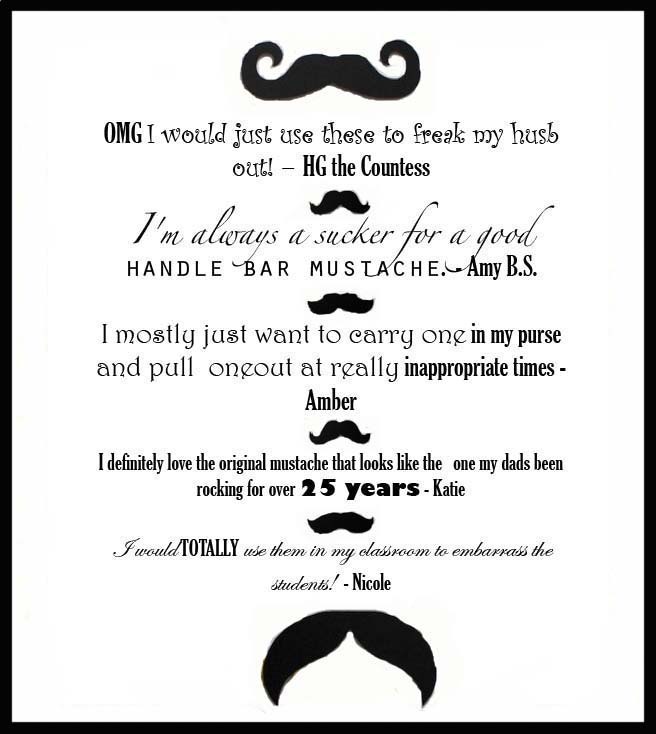 Here are some of my favorite comments...but there were many, many more fanta"stache"ulous ones! P.S. Stay tuned for another fabulous giveaway today at noon! While I'm giggling over this I totally do not understand the mustache trend! I love the "pull it out at inappropriate times" haha I would totally do that! Confession: I FLIPPED when John came home with a mustache in November! oh gosh, so glad that movember is over haha! !